Todays polish is quite a stunner, and it's one of the reasons why I love vintage polish, the old colours are so cool and unique. 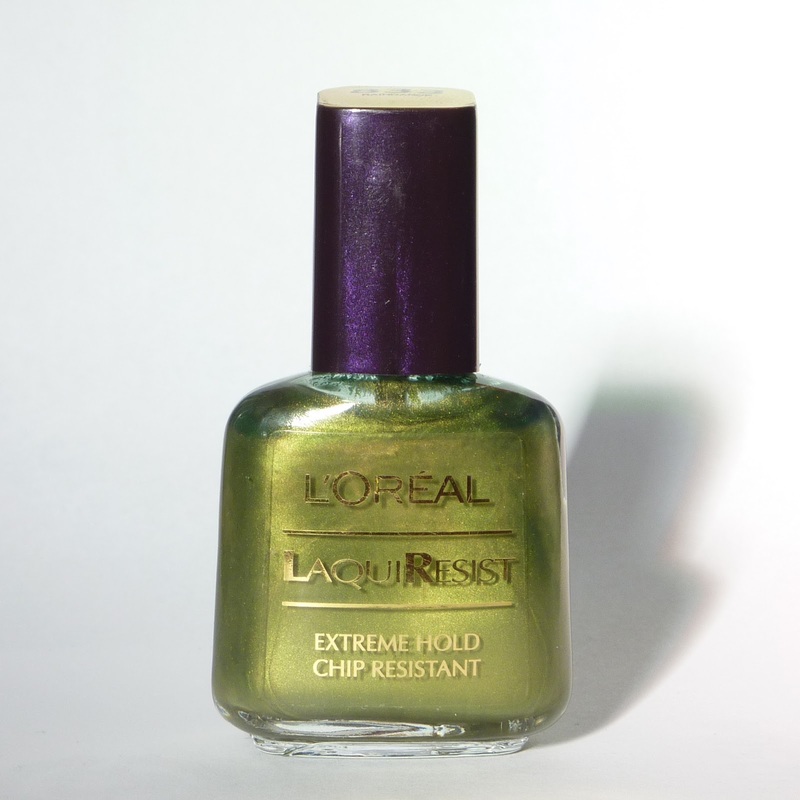 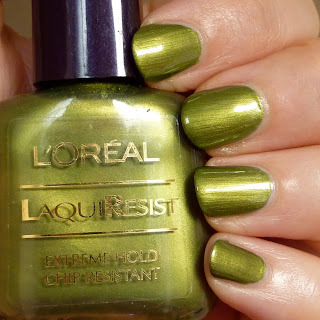 Let me introduce you to L'Oreal LaquiResist in Raindance and prepare to fall in love..
Raindance is an olivey green with golden yellow shimmer, that looks darker or lighter depending on the light, it's so beautiful and I love the way it glows when the light catches it. 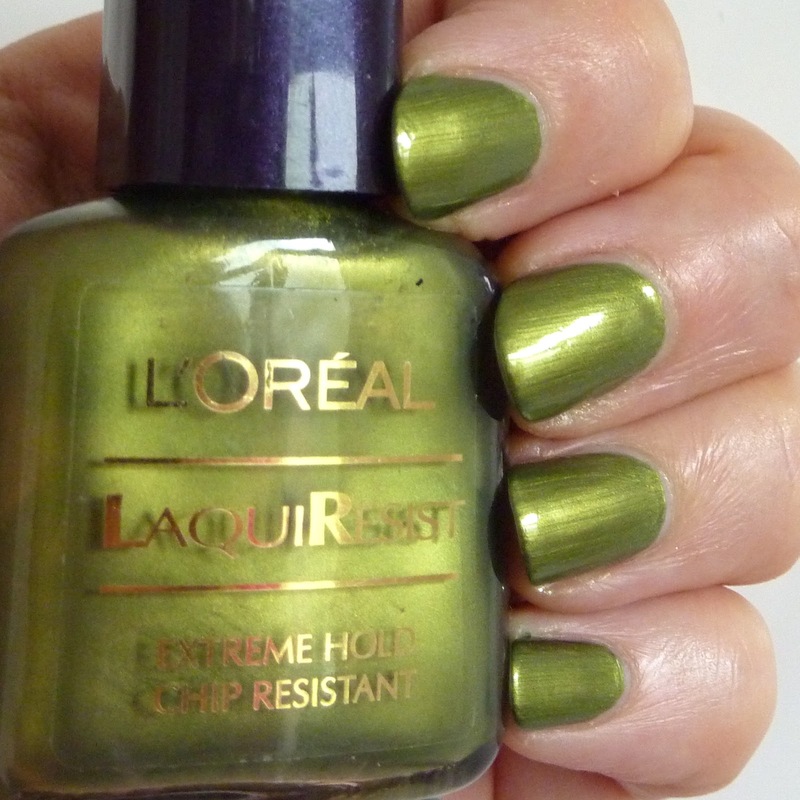 I'm glad that polish is becoming more popular again as it means we'll get more new colours like this in the future, I love it when the major brands start taking chances with their colours again. 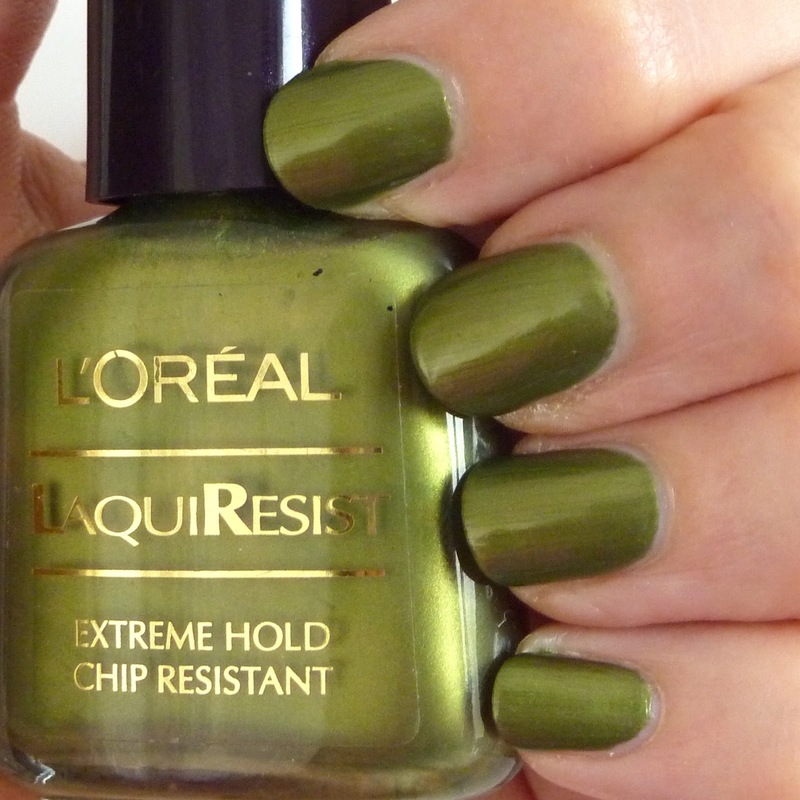 What do you think of Raindance, is it the kind of colour you could fall in love with or does it leave you cold?